Here there are three estates but just one name. The Companhia Agrícola do Sanguinhal was established in the 1920s. Abel Pereira da Fonseca, who almost needs no introduction, established it to continue the winemaking tradition born on the nineteenth century. 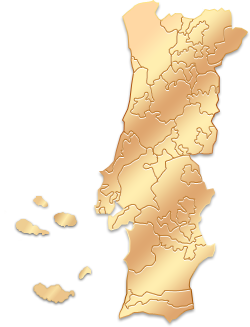 Abel Pereira da Fonseca, an entrepreneur and farmer of Bombarral that became known for creating the wine distribution and marketing empire, initially named Abel Pereira da Fonseca & Cª, that has grown until becoming the second largest wine marketing company in Portugal, in 1982. This entrepreneur sowed the seeds of the business, but decided to withdraw from the company in 1937. His decision was due to his will to devote more time to Companhia Agrícola do Sanguinhal, which he had established in the 1920s to manage, along with his sons, the family estates in his region. The company has always been involved primarily in the production of wine. And so it still is. Each year, around 700,000 and 750,000 bottles of table wine, spirits and liqueurs are produced as a result of the grape harvest of 95 hectares of vineyards. The vineyards are spread along the three farms that give their name to the main wines produced by Companhia Agrícola do Sanguinhal, and belong to the Demarcated Region of Óbidos: Quinta do Sanguinhal (30 ha. / 74 ac. ), Quinta das Cerejeiras (20 ha. -/49 ac.) and Quinta de São Francisco (50 ha. / 123 ac.). To store, fermenting and ageing products, the company has capacity for two million litres in oak and mahogany barrels and vats. The result is about thirty different wine references. Located in Quinta das Cerejeiras, this is the place where you can buy the products produced at Quinta de Sanguinhal. Old cellar with capacity for 500 people. Quinta de Sanguinhal is placed in Bombarral. For groups larger than 50 people we will have to divide them into two or more groups. Weekends and Holidays prices vary. For acts beyond its control, such as weather, or others, with no penalty to the company. "Very informative and engaging. Lovely quinta where we met the whole family, 2yrs - 99yrs! Would recommend to anyone!" "We had a wonderful experience at Quinta do Sanguinhal. The winery was so beautiful and Anna gave us a personal tour and wine tasting she was very informative and it was such a nice experience. We have been on two wine tours in Canada and this experience definitely surpassed our expectations."